Original Cast Member, “Art of War” Martial Arts Demo Team. Produced and featured in over 15 Filipino Martial Arts videos. Featured in several Martial Arts Magazines world wide. Member, Latin America Grandmasters & Soke Council, Inc. Member, Sayoc Fighting System Demo Team under Grand Tuhon Bo Sayoc. Member, Kali Olympic Demo Team under Master Bjin Lateef Meteen. Member, Kun Tao Family of Florida. 1983-1990, U.S.A. nationally ranked “Full-contact Stick Fighting” competitor. 2000, World head of Family Sokeship Council International Hall of Fame “National Instructor of the Year”. 2001, International Jiu-Jitsu Hall of Fame “Kali Master of The Year”. Over 100 wins in local and international Martial Arts competition. Founder and head of FILIPINO COMBAT SYSTEMS Organization and Martial Arts System. 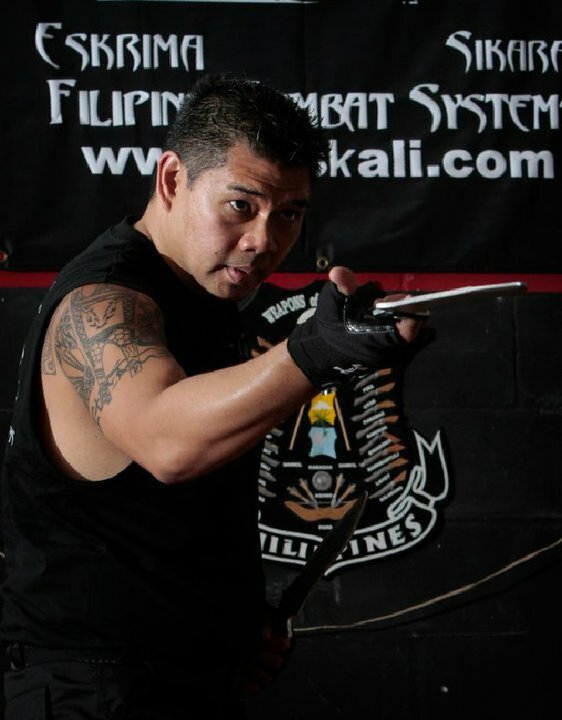 Owner & Head instructor, Filipino Combat Systems International Headquarters, Auburndale, FL. World Union of Sokes Masters Grandmasters Florida State Representative. Co-Author along with Mark E. Cody of the “Filipino Combat Systems” book. Motivational/Personal Development Speaker. Trained and worked in Las Vegas, Nevada. Founder of “The Warrior Mindset”, personal development seminars. Edged weapon instructor to be officially endorsed by Grand Master Remy Presas. Teaching Flilpino Martial Arts seminars, world wide. Specializing in edged weapons.